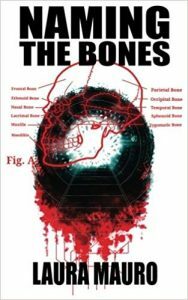 Review by Penny Jones “Naming the Bones” – By Laura Mauro Laura Mauro is an award winning author and is best known for her horror and sci-fi short fiction. She was born and raised in London, where her BFS nominated novella “Naming the Bones” is set. “Naming the Bones” is a wonderfully creepy novella published … Continue reading "Christmas Countdown day 19"